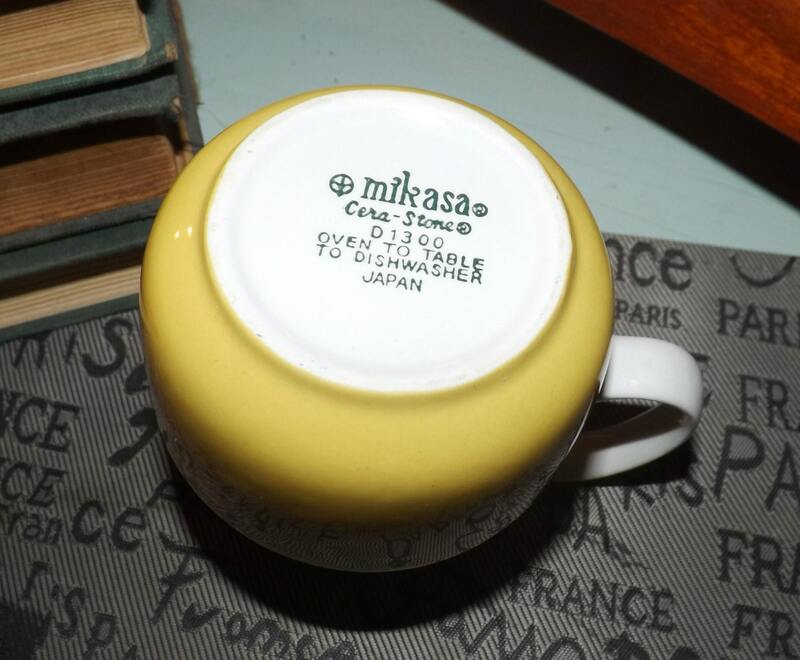 Vintage (1970s) yet modern in style Mikasa Rondo | Mikasa Cerastone D1300 | 3997 yellow creamer. Made in Japan. 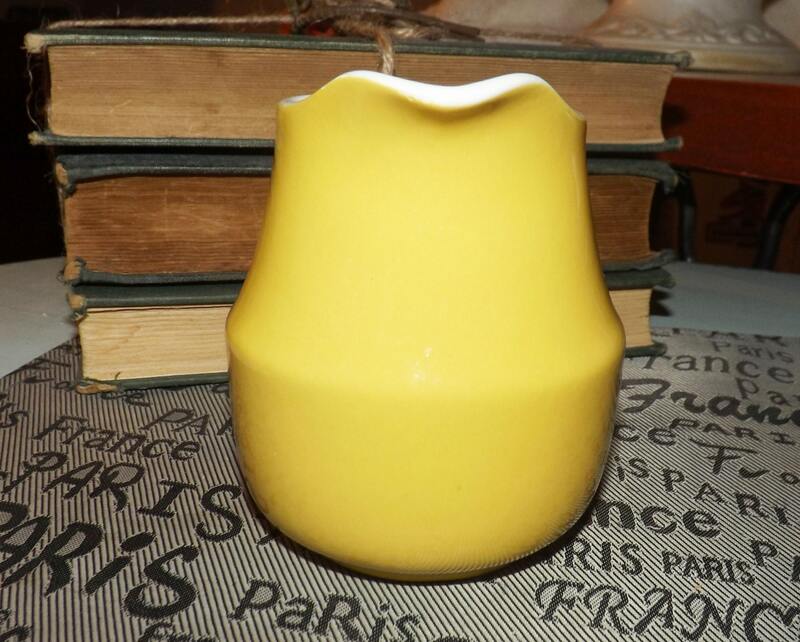 Vintage (1970s), yet modern and sleek in style Mikasa Rondo | Mikasa Cerastone D1300 (also known as Mikasa 3997) yellow cream or milk jug. 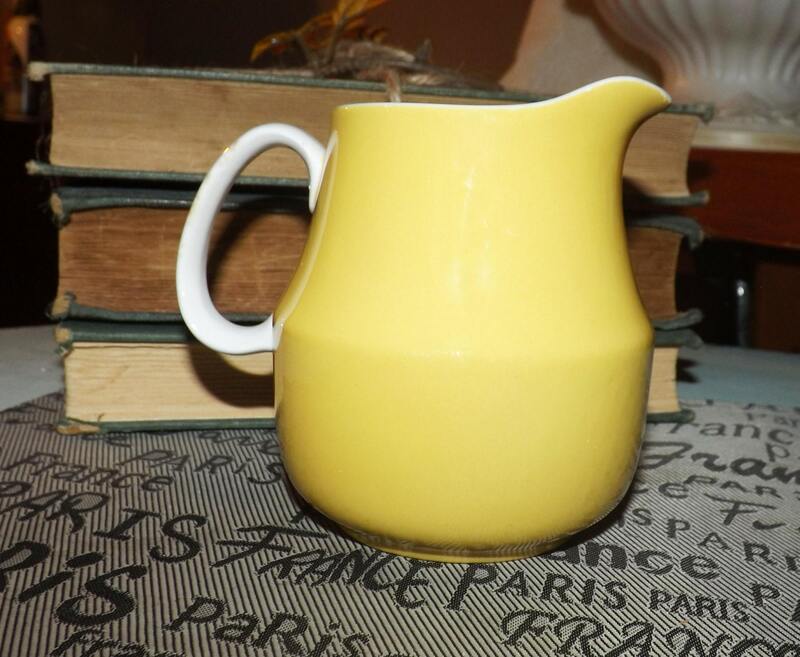 Made in Japan, this creamer | jug is in VERY GOOD! vintage condition however there is an EVER SO WEE! nick to the side of the handle (please refer to photo 4 specifically). 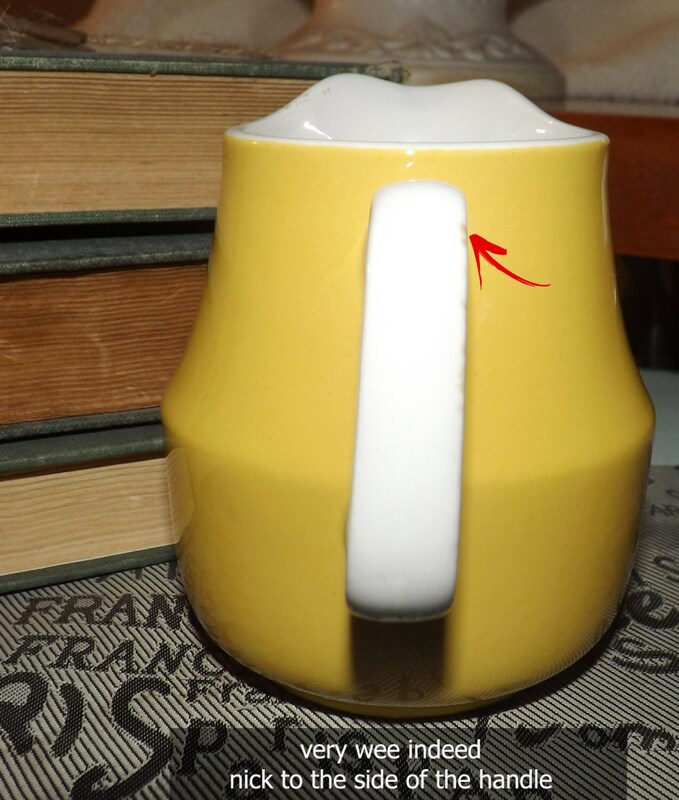 Otherwise, the creamer | jug [presents with NO! chips, or fleabites, NO! cracks or crazing and NO! marks, stains, scratches or other signs of use or wear. 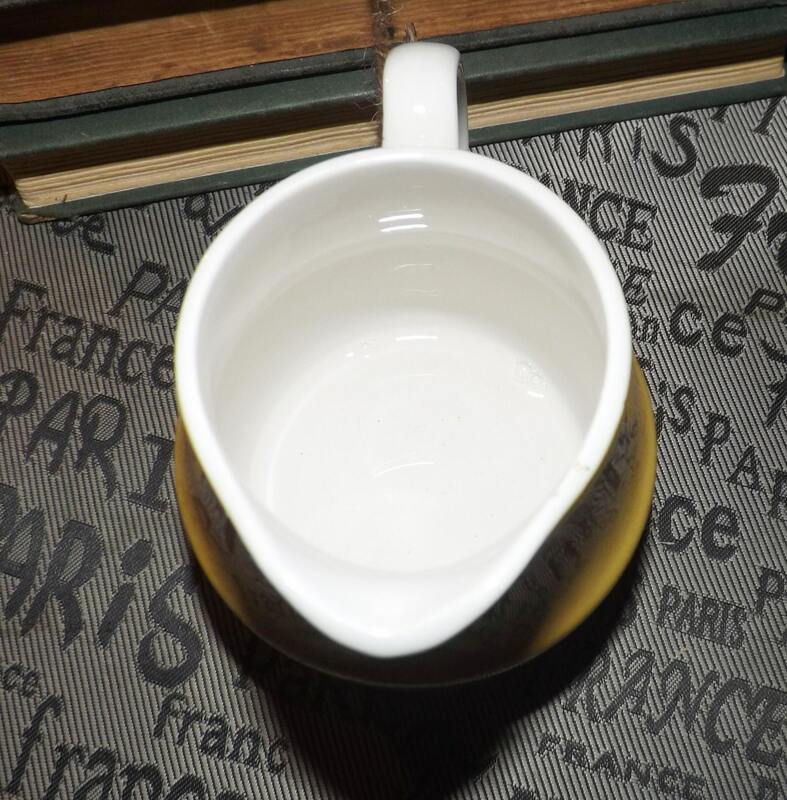 The inside of the creamer | jug is clean as a whistle and one might almost think it had never been used.